Get the grain seeds you need to feed your animals. Supplement the diets of your exotic wildlife. Plant commodity grains on your farm. No matter what your goal is, you'll find plenty of supplies with our 50-pound bags at Thrashers Feed and Supply. We're in Woodstock, Sumiton, and Bessemer, Alabama, for your convenience. Safflower and Sunflower Seeds are rich sources of unsaturated fats and good sources of protein. Birds love these seeds, and you could make a great bird feeder project with them. Corn fattens your animals up beautifully, resulting in a juicer and more tender steak than grass-fed animals. 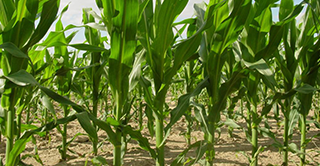 We'll be offering bulk corn soon, so check back often for updates. Sorghum is drought-resistant grain used as livestock feed. Like corn, it can be turned into ethanol. It's naturally sweet, allowing bakers to sweeten treats without adding extra sugar. Soybeans are an annual legume that you can place in food plots to attract deer, ducks, dove, quail, and other wildlife, making hunting easier. They also have the highest protein content amongst plants and replenish the soil with nitrogen. Competitive with soybeans and corn, wheat is a cereal crop that helps break up weed and bug cycles. It also makes your corn and soybean soil healthier.